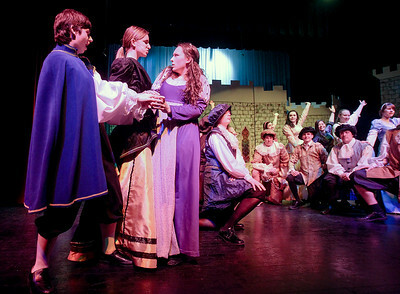 Sarah Nader- snader@shawmedia.com Meggie Wells and Connor Hull perform a song during Tuesday's dress rehearsal for Marian Central's spring musical "Once Upon a Mattress" Performances will be held at 7 p.m. Fridays and Saturdays Feb. 20, 21, 27 and 18 and a Sunday matinee will be Feb. 22 at 2 p.m. Ticket prices are $10 for adults and $5 for students and senior citizens. Sarah Nader- snader@shawmedia.com Casey Wells (left) Tyler Birkhoff and Anna Choquette perform a song during Tuesday's dress rehearsal for Marian Central's spring musical "Once Upon a Mattress" Performances will be held at 7 p.m. Fridays and Saturdays Feb. 20, 21, 27 and 18 and a Sunday matinee will be Feb. 22 at 2 p.m. Ticket prices are $10 for adults and $5 for students and senior citizens. 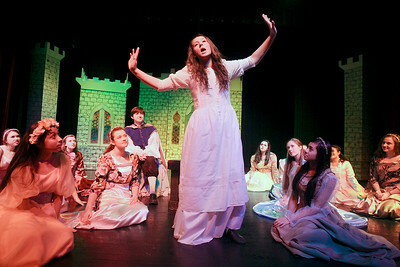 Sarah Nader- snader@shawmedia.com Rachel Prus who plays Princess Winnifred performs a song during Tuesday's dress rehearsal for Marian Central's spring musical "Once Upon a Mattress" Performances will be held at 7 p.m. Fridays and Saturdays Feb. 20, 21, 27 and 18 and a Sunday matinee will be Feb. 22 at 2 p.m. Ticket prices are $10 for adults and $5 for students and senior citizens. 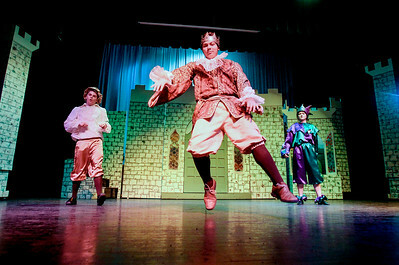 Sarah Nader- snader@shawmedia.com Michael Morphew (left), Shea Pivnicka and Rachel Prus perform a scene during Tuesday's dress rehearsal for Marian Central's spring musical "Once Upon a Mattress" Performances will be held at 7 p.m. Fridays and Saturdays Feb. 20, 21, 27 and 18 and a Sunday matinee will be Feb. 22 at 2 p.m. Ticket prices are $10 for adults and $5 for students and senior citizens. 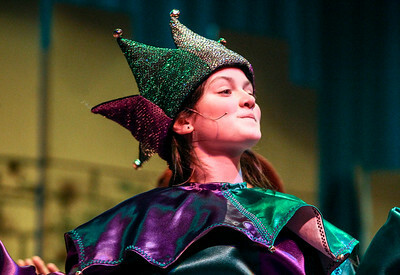 Sarah Nader- snader@shawmedia.com Anna Choquette performs a scene during Tuesday's dress rehearsal for Marian Central's spring musical "Once Upon a Mattress" Performances will be held at 7 p.m. Fridays and Saturdays Feb. 20, 21, 27 and 18 and a Sunday matinee will be Feb. 22 at 2 p.m. Ticket prices are $10 for adults and $5 for students and senior citizens. 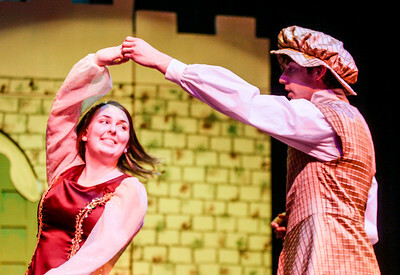 Michael Morphew (left), Shea Pivnicka and Rachel Prus perform a scene during Tuesday's dress rehearsal for Marian Central's spring musical "Once Upon a Mattress" Performances will be held at 7 p.m. Fridays and Saturdays Feb. 20, 21, 27 and 18 and a Sunday matinee will be Feb. 22 at 2 p.m. Ticket prices are $10 for adults and $5 for students and senior citizens.